A world far different from the one we know and live in. Ruled by beings of light and darkness, swayed by forces of magic, and inhabited by beings of all shapes and colors. The universe of Slayers. And in this universe, within one of the four worlds lives a red-haired, extraordinary sixteen year old: Lina Inverse! 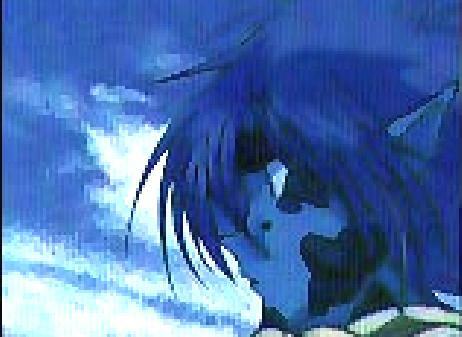 With her companion Gourry Gabriev, and her friends Zelgadis Greywers and Amelia Wil Telsa Sailune, she wanders the continent, attacking bandits and taking their gold. Sometimes she'll do a good deed - but only when the price is right! ~~;Come and read about her, her friends, and their adventures! The story starts with Lina - a red-haired sorceress with quite a temper and an appetite to match. While in the middle of fighting with several bandits over (what else?) 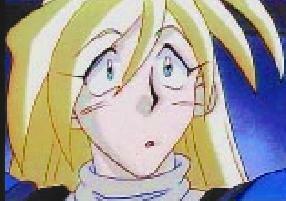 gold, along comes Gourry and saves her - she who is probably the most skilled sorceress on the continent! 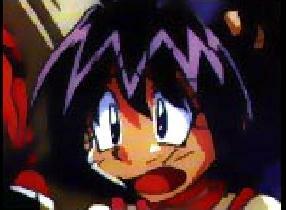 Lina is pleased, to say the least, thinking that Gourry has fallen madly in love with her. But it turns out he thought she was a "babe". Imagine his disappointment when he finds out she's a skinny flat-chested little girl! (a word of caution - don't ever say that to her face) He follows her anyway though, saying from now on he's her "guardian", and calling her "little girl". And that's how the journeys begin. They meet Zelgadis, a lonely chimera in search of a way to turn himself back into a human, and Amelia, a young princess eager to do good deeds in the name of justice. The four of them set off on some of the wildest adventures ever, and battle everyone from Shavernigudo (the king of the Mazoku) to Dark Star (a Mazoku Lord from another world). You'll fall in love with this hysterical group as soon as you get to know them.